More and more every year, we come to rely on electronically powered gadgets. From smart TVs, gigabit internet, and high-end stereo components, to our air conditioners, security lighting, and electric ovens, we have come to rely on electricity for nearly everything that we do in our homes. But with all that reliance comes an increased risk of disruption to our comfort and the conveniences of modern life. Power surges, faulty connections, and the close proximity of electricity and water in the home can all be serious problem. While this list is by no means comprehensive, it may allow you to identify some problematic things around the house. For superior Hartford, CT electrical services, call Electrical Connection today! Flickering lights: Have you tried to fix that annoying flickering light over and over again to no avail? How many times have you changed the light bulb? If changing the bulb does nothing, then you might want to consider calling an electrician. There may be something seriously wrong with the light fixture itself. Alternatively, there could be a problem with the connections from the supply line to the fixture, or even within the panel itself. Intermittent switches: Like flickering, intermittently working switches often indicate loose wiring or a problem with the integrity of the switch itself. If the plug moves around within the receptacle housing, then that’s probably not a good sign, and could lead to accidental shock, if not remedied soon. Don’t take a hands-on approach to your home electrics. Always hire a certified electrician to diagnose any problems and repair them. 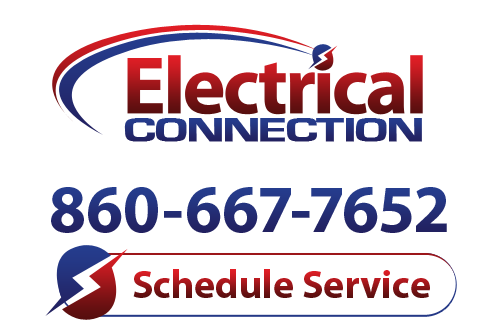 When you need superior electrical services in Hartford, CT, call Electrical Connection today!